The American Academy of Pediatrics is giving its recommendation to the nasal spray form of the influenza vaccine for the 2019-2020 flu season, meaning parents will have 2 choices when getting their children vaccinated this fall. As in previous years, the AAP is also giving its recommendation to the flu shot (inactivated influenza vaccine). 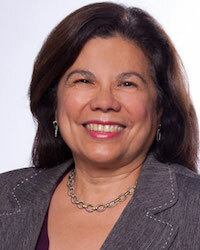 “Every year, we are never sure if the vaccine strains are going to be perfectly matched up with incoming flu strains, but based on the information that we have now, we believe the nasal spray is an acceptable option,” said Bonnie Maldonado, MD, who chairs the academy’s committee on infectious diseases, in a press release. Though the AAP has been firm in its recommendation that children be vaccinated against the flu, its stance on the nasal spray form of the vaccination (live attenuated influenza vaccine) has varied from year to year based on its performance and available data. For instance, the nasal spray was found to have underperformed against the A/H1N1 strain of influenza during the 2013-2014 and 2015-2016 flu seasons. As a result, the AAP did not recommend the nasal spray in the 2016-2017 and 2017-2018 flu seasons. However, the academy said the vaccine was altered in 2017 to better fight against A/H1N1, and early indications were that the change had been successful. At a meeting on March 14, the AAP’s Board of Directors was sufficiently satisfied with the latest vaccine data to issue its recommendation. The AAP plans to issue a formal policy statement on the matter later in the year. They made the announcement this month because this is the time many clinics are ordering their vaccine supplies for the coming year. Flu vaccinations among children have been on pace this year to beat last year’s vaccination levels. By November 2018, 45% of children had been vaccinated against the flu, up from 37% in November 2017. The decision to recommend the nasal spray could have a significant impact on vaccination rates among children. A 2017 study by investigators at Penn State University found the availability of the nasal spray had a significant impact on vaccination rates. They compared vaccinations at a central Pennsylvania pediatric center between the 2015-2016 flu season, when the nasal spray had the AAP’s recommendation, and the 2016-2017 flu season, when the nasal spray wasn’t recommended. They found early season vaccination rates were actually higher the second year, but end-of-season vaccination rates were lower. The drop was most significant among children who received the nasal spray the first year but then were unable to get it the second year. The authors concluded that convenience is the major factor in determining whether children are vaccinated. In making its announcement of the new recommendations, the AAP reiterated that vaccination is a critically important preventative health measure. As of mid-March, the Centers for Disease Control and Prevention reported a total of 76 children had died of influenza-associated causes during the current 2018-2019 flu season.